Situated on the south facing shores of Mount’s Bay, Penzance has one of the mildest climates in the UK. The abundance of palm trees and sub-­‐tropical plants create idyllic gardens for guests to explore and enjoy. 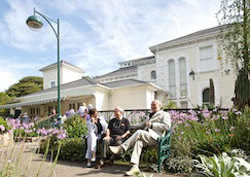 From the gardens, visitors can wander the town’s streets and see the fabulously decorated Egyptian House, the statue of Sir Humphry Davy and an array of art galleries, book sellers and new age shops which add a bohemian feel to the town. For a quintessential Cornish moment, guests can take a walk along the promenade, with fish and chips in hand and sit on the seafront to admire the spectacular views across the bay. 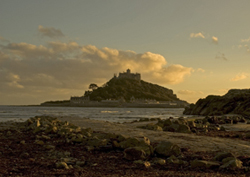 Discover legend, myth and more than a thousand years of incredible island history at St Michael’s Mount. Stroll across the granite causeway or take a boat trip to where a legendary giant once walked and follow the footsteps of pilgrims. Take a tour of the castle and scale the fairy-­‐tale turrets for dazzling views or explore the sub-­‐tropical gardens and infuse your senses with colour and fragrance. Listen to live music on the village green and tuck into fresh, local food at the Island Café or the Sail Loft restaurant. Carved into the Cliffside above the stunning Porthcurno beach is the equally jaw dropping Minack Theatre, located almost at the very end of Cornwall, a short drive from Penzance. Minack is an open-­‐air amphitheatre with a diary packed full of drama, opera, comedy, musicals and live music throughout the summer season in Cornwall. 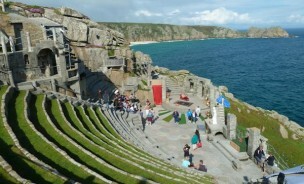 The theatre was first put together in the 1930s when Rowena Cade, resident of Minack House at the top of the cliff, decided to create a space for local drama enthusiasts to perform The Tempest by Shakespeare. It has now developed into a 750 capacity venue. Soak up the local history. 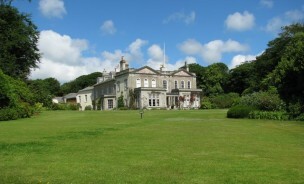 Penlee House was originally built in 1865 as a Victorian home and was later converted into a gallery and museum that showcases the cultural heritage that is unique to Penzance and its surrounding areas. The galleries are ever-­‐changing and highlight skill and craftsmanship of painting from the late 19th century through to the early 20th century while the art collection has many well known works from the renowned Newlyn School. The museum was founded in 1839 and documents 6000 years of history in west Cornwall including reminders of Penwith’s archaeological sites from times gone by through to recent history. Penlee has a licensed café and families and children are welcome. There are a variety of workshops and activities that can all be taken part in. It’s a short walk from the centre of town. Walk around an English Country Garden. If you’re visiting Cornwall and you’re feeling a little “beached out” then Trengwainton Garden could provide the perfect change of scenery and pace. 25 acres of land full of exotics trees, plants and shrubs are all there waiting to be discovered. The garden is vibrant throughout the year and from February onwards it becomes a great walk with champion magnolias flowering for an early spring. Six sections of walled gardens are bursting with exotic plants from all over the world. When you’re feeling peckish you can stop off at the tearooms for a warm lunch or maybe even a traditional afternoon tea.